I'm going to present a few curious things to you about what surrounds you that I'll bet you don't know. Let's start with the giver of all known life: the Sun. The Sun is a great big ball of hot gas that sits at the center of our solar system. All the planets orbit around it. In fact, we call it Sol, and that's where the name Solar system comes from, but it's a term that, at least in science fiction circles, is used to describe any star and its orbiting companions. The next thing you don't know about the Sun is that there is an area outside the Sun that is much much hotter than the surface. The surface is in the range of 11,000 degrees Fahrenheit, but the corona, which surrounds the Sun, is a couple MILLION degrees! How can this be? So far, no one knows. The last new thing I'm going to tell you about the Sun (for now) is that, for a long time, there have been some missing neutrinos. A neutrino is a tiny particle that can pass through practically any amount of matter without noticing it - a wall of lead several LIGHT-YEARS thick, would be needed to ensure all neutrinos were blocked - and so they are a good indicator of what's going on inside the Sun. It takes a photon - a particle of light - millions of years to reach the Sun's surface, but neutrinos pass through without delay. For a long time, scientists' theories on how the Sun worked required that it produce a certain number of neutrinos per hour, but they were only able to detect about 1/3 as many as they predicted they would. Just recently, they came upon the solution: there are three different KINDS of neutrinos, and we could only detect one of those three. But now that we can detect the other two, we've found that the Sun is producing as many neutrinos as were predicted. The Sun weighs a third of a MILLION times the Earth. That's not 10 times, not 100 times, not 1000 times, that's about 333,000 times! If we gathered together every single nuclear weapon ever built, that would be a force of about 10,000 megatons of TNT. The "Dinosaur Killer" asteroid was 10,000 times as much as that, or about 100 million megatons. 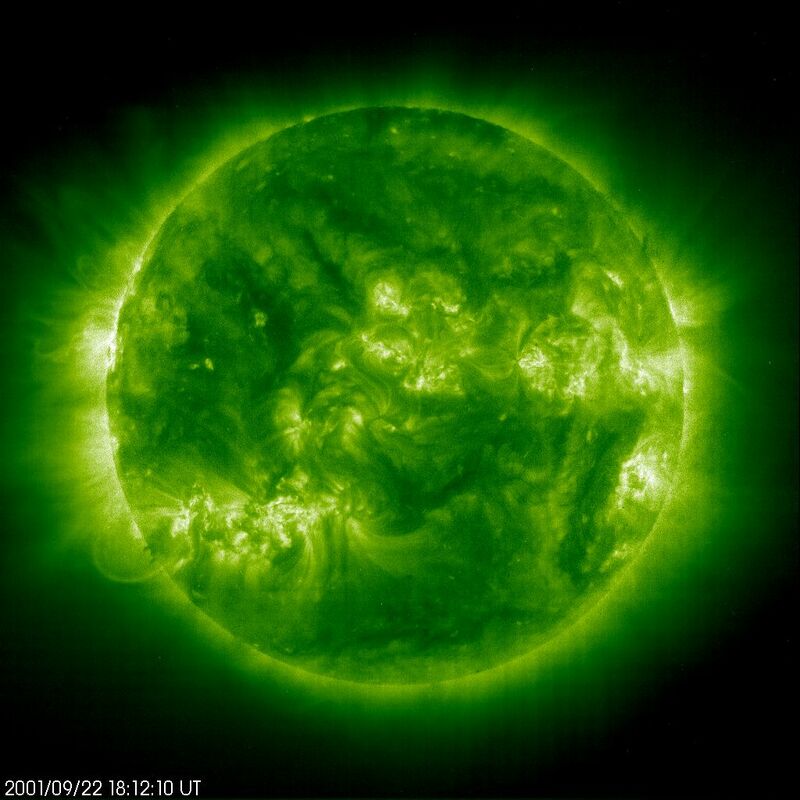 In a single second, the Sun produces another 1500 times as much energy, or about 150 billion megatons. Every single second! I don't care what you say, your Sun-destroyer is a pop-gun, and just using it would have to blow up the planet. Dude, stars eat planets without noticing. You're not going to blow one up with a big gun. God, man, think for a change! And before you can say "antimatter", to produce that kind of energy is equivalent to denotating 4 million tons of antimatter per second. The only way you're going to create that kind of energy is with another star. Everything else literally pales in comparison. Ok, that's all for the Sun and my rant about junk-science. Now let's move onward and outward, to Mercury!